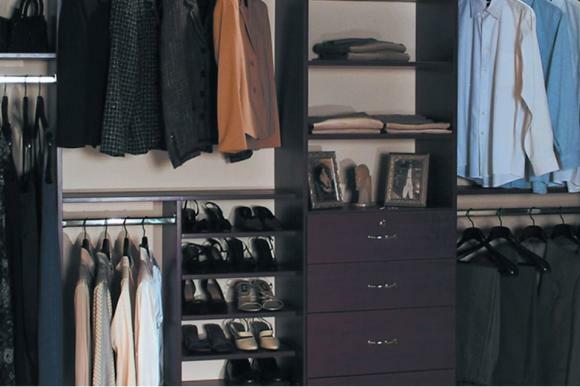 Easy access hinged doors wardrobe featuring long and short hanging space, shoe shelves, drawers, and a mirror fixed to the inside of the door. 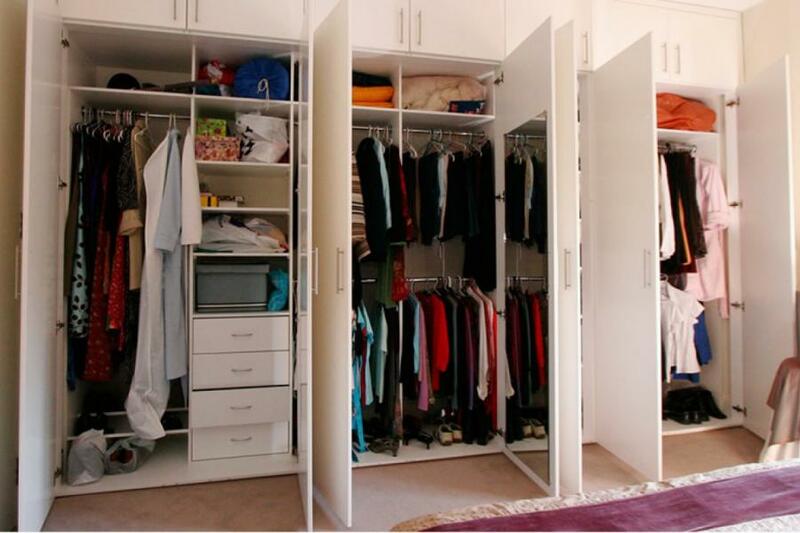 The overhead doors provide additional storage space. 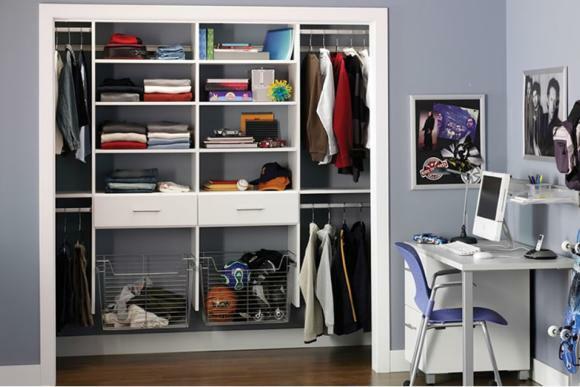 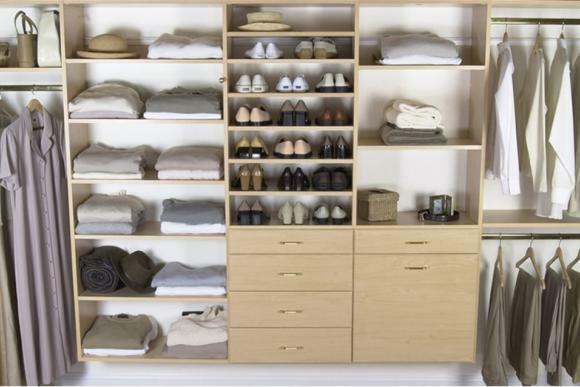 This wardrobe could be easily redesigned into a practical childrens wardrobe.